Been waiting a while for this to come out, wondering why someone has not done this before, like the iPod and the iPhone took Apple some time to make it great. Well here comes Camelbak making hydration cooler. 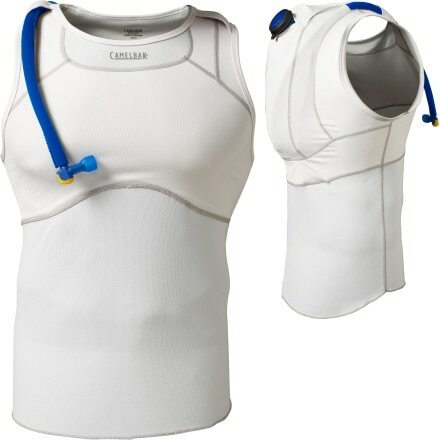 Wearable hydration, designed for the endurance athlete, tight fitting, chafe-free seams and stitching, air mesh insulated back panel keeps your back cool and insulated tube cover. What is not to love. Bike racks for motorcycles, Johnny Racks! Close Call's a video for all to see!